The unique and diverse range of recreational activities and travel options in this region has made Southeast Asia a top destination for tourists. 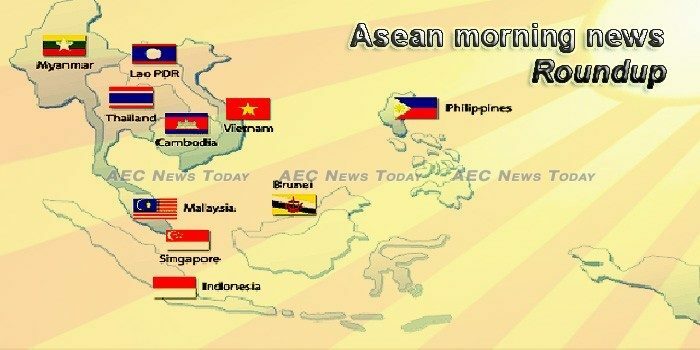 The 10-nation Association of Southeast Asian Nations, despite its lack of cohesiveness and geopolitical heft, likes to be in the driver’s seat even on initiatives that extend beyond its region. Australia does not rank in the top 10 destinations for Indonesian students wanting to learn English, a fact which has exposed how under-prepared Australia is for the expected deregulation of Indonesia’s education market. By the turn of the twenty-first century, coast guard organizations in Southeast Asia have been emerging as the new maritime constabulary force. Embassies of Brunei, Indonesia, Malaysia, Myanmar, the Philippines, Thailand and Vietnam in Canada jointly held the ASEAN Festival at the Vincent Massey Park in Ottawa on August 18. Southeast Asia is slowly becoming the new battlefield for e-commerce platforms as more of them establish a presence in the region. As our lifeststyles continue to change and morph along with technological and social evolution, so too our living spaces and the locations we choose to live. THE ASEAN-Korea Centre and the ASEAN Youth Network in Korea are jointly organising the ‘2018 ASEAN-Korea Youth Short Film Competition’ from August 6 to October 6. Multiple earthquakes – including a powerful and shallow 6.9-magnitude tremor – struck Indonesia’s Lombok on Sunday, August 19, killing at least two people and sending fresh panic coursing through the already battered island. The Indonesian contingent won one gold medal and one silver medal on the first day of the 2018 Asian Games, which made Indonesia ranked 6th in the medal acquisition. The Denpasar Administrative Court has rejected a legal challenge by Bali residents attempting to halt the expansion of a coal-fired power plant on the island, the environmental group Greenpeace said on Friday (17/08). All Lao workers who return home to register with the authorities will need to get work permits and passports from labour officials so they can legally work in Thailand. Lao officials have told Samkhan Koomsanyalat that she and her family will have to leave their home in Phu Din Daeng village, nestled in a bucolic valley amid limestone cliffs, to make way for the Laos-China railway. The Mekong River rose rapidly overnight on Saturday and Vientiane residents woke up to see the newly built Nakharath City shopping centre partially submerged. Malaysian Prime Minister Mahathir Mohamad, also known as Dr. M, met with the founder of China’s largest e-commerce enterprise Alibaba Group, Jack Ma, at the company’s headquarters in east China’s Hangzhou City on August 18. Durians could potentially become a major commodity export for Malaysia if developed systematically and on a large scale like rubber and oil palm. Malaysian Prime Minister Mahathir Mohamad might have raised eyebrows with his criticism of Chinese mega projects in his country and created uncertainty over bilateral ties with China, but relations look set to improve as the premier seeks to deepen economic links between both countries. The United States imposed sanctions on four Myanmar military and police commanders and two army units on Friday (17/08), accusing them of “ethnic cleansing” against Rohingya Muslims and widespread human rights abuses across the Southeast Asian nation. From April to July this year, the government allowed foreign investments worth over US$ 829 million with manufacturing and telecom sectors saw the highest inflow of foreign investments, according to the Directorate of Investment and Companies Administration. WHILE MYANMAR officials have praised the final report submitted last week by Surakiart Sathirathai on the Rakhine crisis, former members of the panel and observers said the job was actually incomplete. THE Philippine government has proposed at least $1.96 billion worth of projects for financing by the Asian Development Bank (ADB) and other development partners. The Spanish government offered $300 million worth of official development assistance to the Philippines for infrastructure, energy, food industry and tourism projects, the Finance Department said. Philippine borrowers–both the national government and the private sector — continued to prepay their foreign obligations resulting in the further weakening of the peso against the dollar, data from the Bangko Sentral ng Pilipinas (BSP) showed. The chairman of the Government Parliamentary Committee for National Development Alex Yam on Sunday (Aug 19) raised concerns about a new housing scheme which will allow more HDB households to benefit from redevelopment before the 99-year leases on their flats expire. A total of 550,000 Housing Board flats will benefit under a newly expanded Home Improvement Programme (HIP), the HDB said yesterday. All Singaporeans with chronic ailments will be able to tap on the Community Health Assist Scheme (Chas) regardless of their income, said Prime Minister Lee Hsien Loong yesterday. Thailand’s first Asian Games gold medal in Indonesia came from the women’s team poomsae at the Jakarta Convention Center Plenary Hall on Sunday. The Eastern Economic Corridor (EEC) that straddles three eastern provinces of Thailand is emerging as the new driving engine of the Thai economy. The Government Savings Bank (GSB) believes the Thai economy will expand by 4.6% this year thanks to rising exports and tourism. Vietnam’s hard-line stance against corruption continues with a court in Ho Chi Minh City (HCMC) last week sentencing forty-six corrupt bankers and staff to terms of imprisonment of up to 20 years. In the first seven months of 2018, a total of 7.8 million tons of petroleum products worth US$5.2 billion were imported, up 3.9% in volume and 31.6% in value year-on-year. Of the total number, cars with less than nine seats make up the largest proportion with 15,348 units worth US$324 million.